The Golf Schools at LPGA International in Daytona Beach, Florida, is dedicated to help improve your golf game by designing a comprehensive plan tailored to your needs and focused on proven fundamentals. Players of all abilities are welcome. Instructors will proceed at a pace that is comfortable for you. You will receive personalized instruction from LPGA and PGA Instructors. Cart and Green fees are included in your tuition. Improving your golf game begins with learning the fundamentals of the golf swing. The first step in building a consistent swing that will work for you is learning what has worked for the world’s top players for years. Our state-of-the-art learning center was designed expressly for teaching golf. Custom packages can be created to fit any schedule or budget. Nancy Henderson is the Director of Golf at LPGA International. Nancy is a member of the PGA and the LPGA Teaching and Club Professional Division. She was voted National Professional of the Year for the LPGA Teaching and Club Professional Division for 2001. Teresa Zamboni is the LPGA Academy Director and is a Class A Member of the LPGA Teaching and Club Professional Division and a current Futures Tour Professional. Personal Fitness Trainer (IFPA) #34011. The Legends course, designed by Arthur Hills, opened October 1, 1998 and is a great compliment to the Rees Jones links style course. 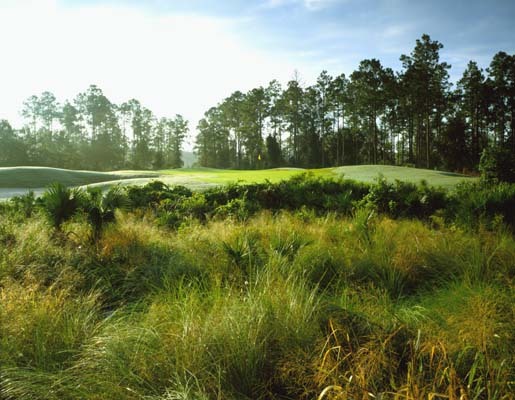 In the short time the course has been open, it has received rave reviews for it’s natural beauty. The course is surrounded by beautiful magnolias, towering pines and century old live oaks, requiring the golfer to be accurate from tee to green. Orlando.NET - Visit Orlando Florida for a wonderful Orlando vacation, airline reservation, discount airfare, hotel reservations with the Orlando Hotel discount, car rental, vacation rental along with all your World Wide discount travel needs! 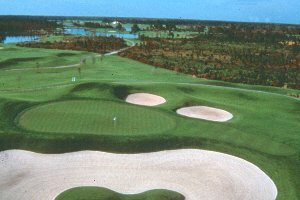 LPGA International Golf School is an affordable superior teaching facility with two championship courses and oceanfront accommodations in Daytona Beach.